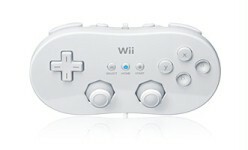 The Wii Remote Plus is the Wii console's revolutionary controller. It contains a built-in motion sensor and communicates wirelessly with the Sensor Bar for unprecedented precision and ease of use. It also has a rumble feature and a built-in speaker to immerse you even more in your favourite games. One Wii Remote Plus comes with every Wii console. 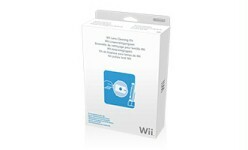 You can buy additional Wii Remote Plus controllers separately (or in a bundle, for example with Wii Sports Resortor FlingSmash). It's available in black, white, blue and pink. The Wii Remote Plus is powered by two AA batteries (included). Use only high quality alkaline batteries for the best gameplay experience and longevity of battery life. 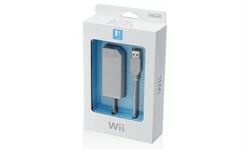 *Wii Remote Plus replaces the original Wii Remote and Wii MotionPlus accessory. 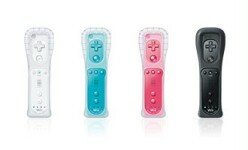 The Wii Remote Plus controller combines the advanced motion-sensing features of Wii MotionPlus with the Wii Remote. Enjoy Virtual Console games the way they were meant to be played. The Classic Controller blends design elements from Nintendo's classic video game controllers, such as the NES, Super Nintendo and Nintendo 64, into one comfortable control pad. The Classic Controller is connected to the Wii Remote by a short cable. The Wii Remote provides the Controller with a wireless connection to the Wii console. 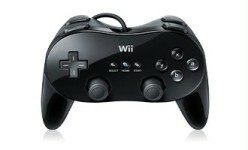 The Classic Controller is primarily used for playing Virtual Console games available for download from the Wii Shop Channel. Some Wii Disc games also use the Classic Controller. Look on the back of Wii game packaging to see which games are compatible. The Classic Controller Pro features grips on both sides for added comfort while the ZL and ZR Buttons are now placed under the L and R Buttons, respectively. The L and R Sticks are spaced further apart and the cord that connects the controller to a Wii Remote exits the controller from the top. The enhanced button layout and superior handling make this the veteran's choice for classic gaming action. 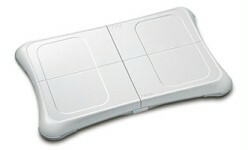 The active-play phenomenon started by Wii Sports now spreads to your whole body thanks to the pressure-sensitive Wii Balance Board, which comes packed with Wii Fit Plus. The board is used for an extensive array of fun and dynamic activities, including aerobics, yoga, muscle stretches and games. For use with the Wii Speak Channel and Animal Crossing: Let's Go to the City, the new Wii Speak accessory (available separately or bundled with Animal Crossing: Let’s go to the City) sits atop the sensor bar and picks up the conversation of everyone in the room to bring family and friends together. So whether you visit someone else's town in Animal Crossing or connect through the Wii Speak Channel, you can enjoy chatting to your heart's content. Please note: It is no longer possible to download the Wii Speak Channel or transfer it from Wii to Wii U. Cannot be used with Wii mini. The Wii Component Cable links your Wii console to your TV, allowing you to view and enjoy your games with the best possible image display. Component video splits the signal into three separate channels of video information for the ultimate connection quality. The cable includes five connectors - three for video, and two for left and right stereo audio. Cable length is approximately 2.5 metres. Before using the Wii Component Cable, make sure your TV can accept component video connections - they are usually marked Y, PB, PR and are coloured green, blue and red. Cannot be used with Wii mini. 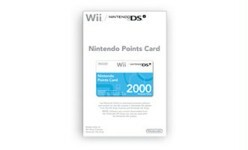 The Nintendo Points Card is an alternative method of obtaining Wii Points. Instead of using a credit card to buy Wii Points online through the Wii Shop Channel, you can purchase a Nintendo Points card from retailers. Each card has a scratch-off panel revealing an activation code that you input in the Wii Shop Channel to convert your Nintendo Points to Wii Points. Wii Points can be redeemed in the Wii Shop Channel to make online purchases such as downloadable Virtual Console and WiiWare games. 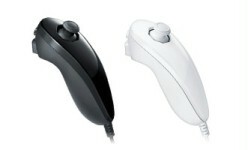 The Nunchuk is a Wii Remote accessory that gives you an additional means of control in Nunchuk-compatible games. By connecting the Nunchuk to the Wii Remote via a short cable you can benefit from its extra buttons, analogue joystick and additional motion-sensing controls. With a Wii Remote in one hand and Nunchuk in the other, you have a new level of control. For instance in The Legend of Zelda: Twilight Princess, the Wii Remote is your sword while the Nunchuk is your shield. 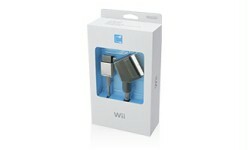 One Nunchuk comes with every Wii console. Additional white Nunchuk controllers can be purchased at retailers. This accessory combines the accuracy of the Wii Remote and Nunchuk in a single housing for a new experience for first-person shooters and targeting games. 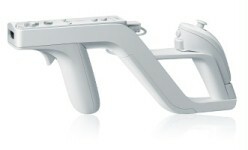 Players can hear the sounds of battle through the Wii Remote speaker when it is incorporated into the Wii Zapper. It is bundled with the game Link's Crossbow Training but can be used in combination with a variety of other games. 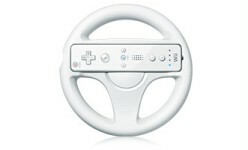 Mario Kart Wii comes with the Wii Wheel, a steering wheel housing for the Wii Remote that brings new controls and challenges for veteran gamers, while making getting into a race easy and intuitive for newcomers. The Wii RGB Cable links your Wii console to your TV, allowing you to view and enjoy your games with an enhanced image display. RGB video splits the signal into three separate channels of video information for improved connection quality. The cable includes a Euro AV plug (SCART) for video and stereo audio output. Cable length is approximately 2.5 metres. Before using the Wii RGB Cable, make sure your TV has a Euro AV terminal (SCART) that accepts RGB input. 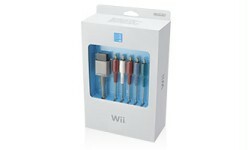 While the Wii RGB Cable can be used with Wii mini, please note that the image quality will be the same as that from the Wii AV Cable included in the Wii mini bundle. 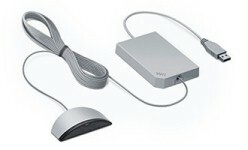 Wii connects to the Internet wirelessly; however if you do not have a wireless Internet connection, the Wii LAN Adapter allows you to connect your Wii console to the Internet via a LAN cable connection. The Wii LAN Adapter connects to one of the two USB ports on the rear of the Wii console, providing a connection point for a LAN cable (sold separately) leading to your broadband modem. As of May 20th, 2014, the Nintendo Wi-Fi Connection service was discontinued and it is now no longer possible to use online features of Nintendo DS/DSi and Wii software such as online play, matchmaking, competitions and leaderboards. For more information, please visit our Support section. The data sheet for medical personnel is available at +4960269500. Nintendo’s Wii MotionPlus accessory can be attached to original Wii Remote controllers to provide additional accuracy in games that are specially designed for it. 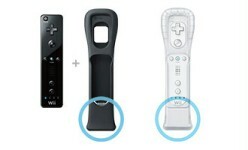 Please note that the new Wii Remote Plus replaces the original Wii Remote with Wii MotionPlus attached.